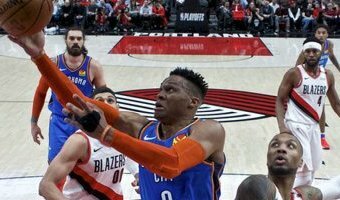 As the Thunder faces a 2-0 deficit entering Game 3 against the Portland Trail Blazers on Friday, Paul George’s defense might be just as valuable as his offense. George was touted as a Defensive Player of the Year candidate for much of the season until the Thunder’s post-All-Star break slump. 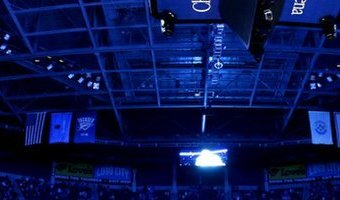 It’s no coincidence that the majority of the Thunder’s post All-Star break slump coincided with George battling shoulder soreness. In Games 1 and 2, Damian Lillard and CJ McCollum combined to average 58 points per game on 45.5 percent shooting. 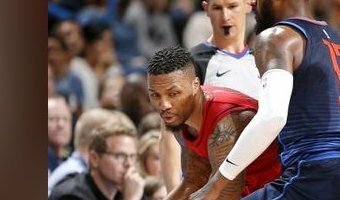 According to NBA.com, on a combined 163 defensive possessions George played, he was the primary defender on either Lillard or McCollum only 38 times – less than 25 percent of his defensive possessions. George takes a beating getting over screens on primary ballhandlers, one reason why he’s been stashed on Maurice Harkless, Al-Farouq Aminu, Rodney Hood or Evan Turner on more than half of his possessions each game. Fighting … [Read more...] about Thunder journal: More time for George on Lillard?